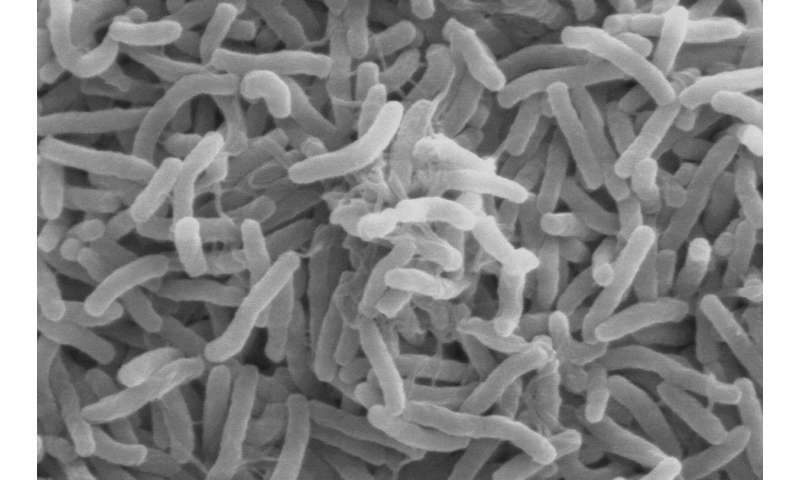 The results, published today in Proceedings of the Royal Society B, show that this strain is a unique, non-toxigenic strain of V. cholerae that is distantly related to the strains of bacteria causing cholera pandemics today and in the past. In 1916, a strain of V. cholerae was extracted from the stool of a British soldier who was convalescing in Egypt. Reports indicate that the isolate was taken from 'choleraic diarrhoea'. The bacterium was stored and subsequently deposited in the National Collection of Type Cultures (NCTC) in 1920. Researchers at the Sanger Institute revived the WWI soldier's bacteria—thought to be the oldest publicly-available V. cholerae sample—and sequenced its entire genome. Matthew Dorman, first author from the Wellcome Sanger Institute, said: "Reports in the literature indicated that there was something unusual about the strain of bacteria from the WWI soldier. It's promising to see that our genomic information aligns with those historical records. We also made other observations—under the microscope, the bacterium looks broken; it lacks a flagellum—a thin tail that enables bacteria to swim. We discovered a mutation in a gene that's critical for growing flagella, which may be the reason for this characteristic."